This is probably the most silent spot in the city center. 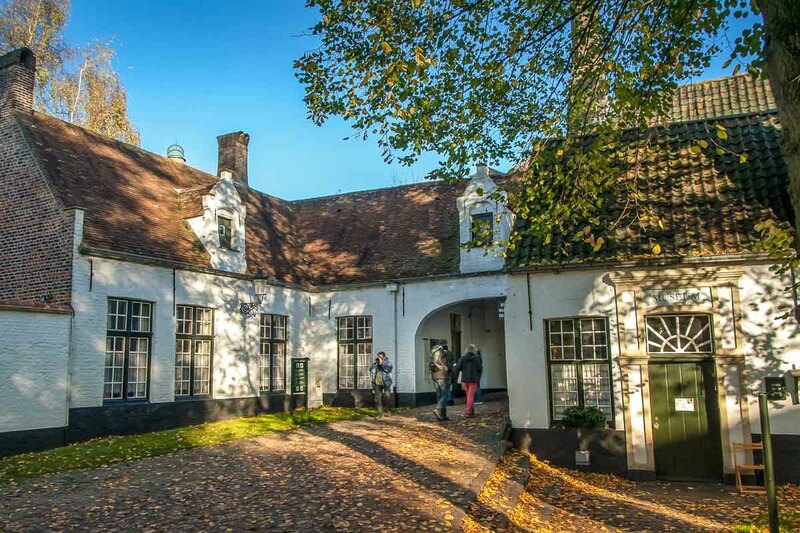 The Princely Beguinage of the Vineyard was founded in 1245. Nowadays there are no beguines anymore. The Sisters of the religious St. Benedict Order are living there now. 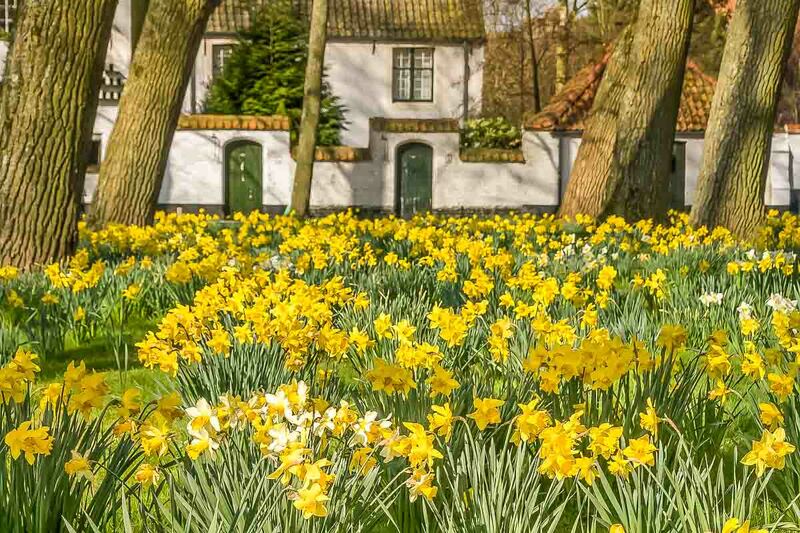 It's best visited in spring when the central green is full of daffodils. Don't miss it! The beguinage in Bruges dates back to the 13th century, to 1245 to be specific, and it counts as one of the best preserved. Most of its buildings are not as old, from the 19th century, but the original layout of the Beguinage has been kept as well. 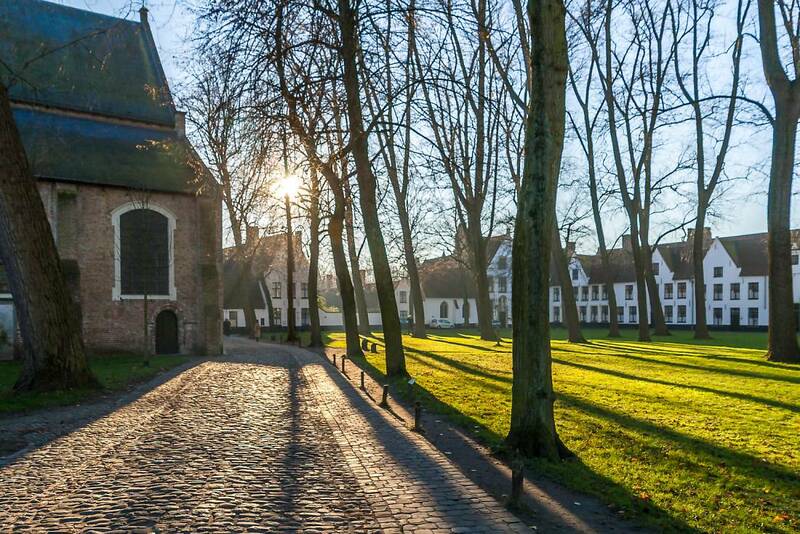 A Beguinage was a community of women who follow the example set by the apostles: poverty, simplicity and preaching. These are lay orders, who do not take binding vows. They could at any time break their vows and leave the Beguine community. The site is particularly beautiful in spring when daffodils are sticking their heads above the grass in the central square. The Beguines were a movement of single or widowed women who wanted to live in a pious way but outside the walls of a convent or monastery. 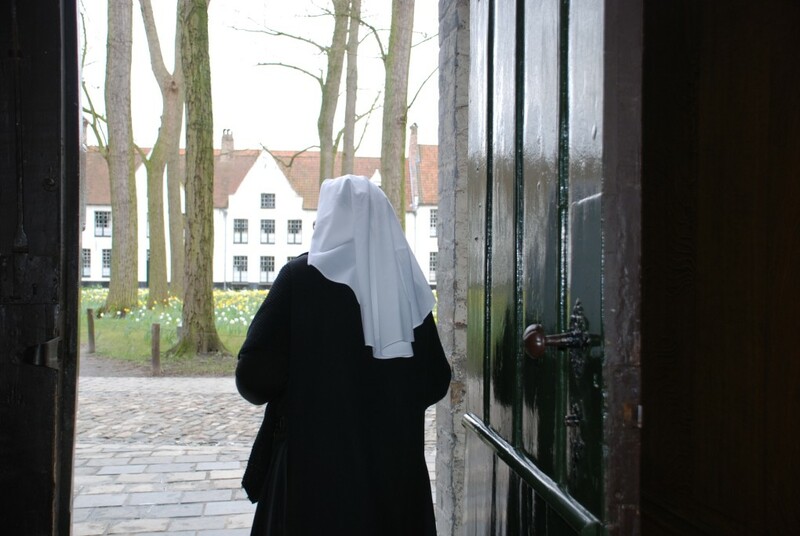 So in many north Belgian and Dutch cities beguinages were set up where these women lived and prayed. The beguines led an industrious life, initially earning their income with looms. No vows were taken but they kept to a strict regime under a mistress who guarded the independence of the establishment. 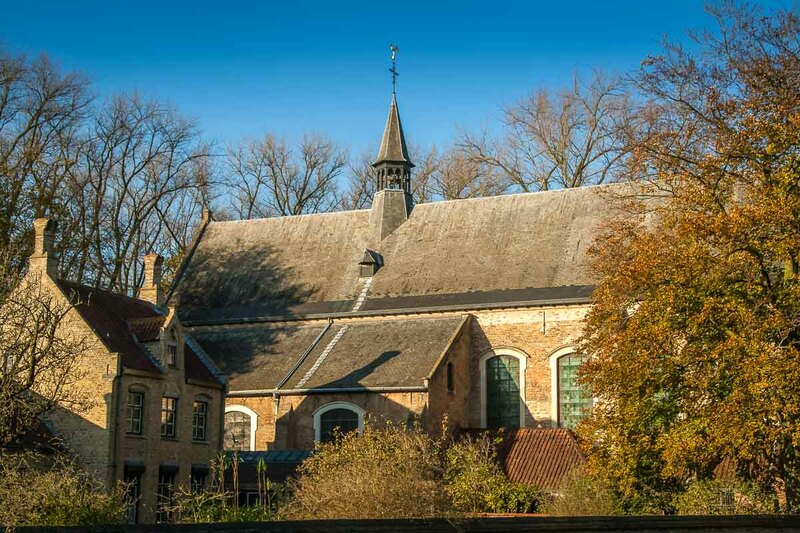 The last beguinage nun left in 1927 and since then it has been home to a community of Benedictine nuns. As you step through the gate into the courtyard silence descends and it is as though you are in another world. 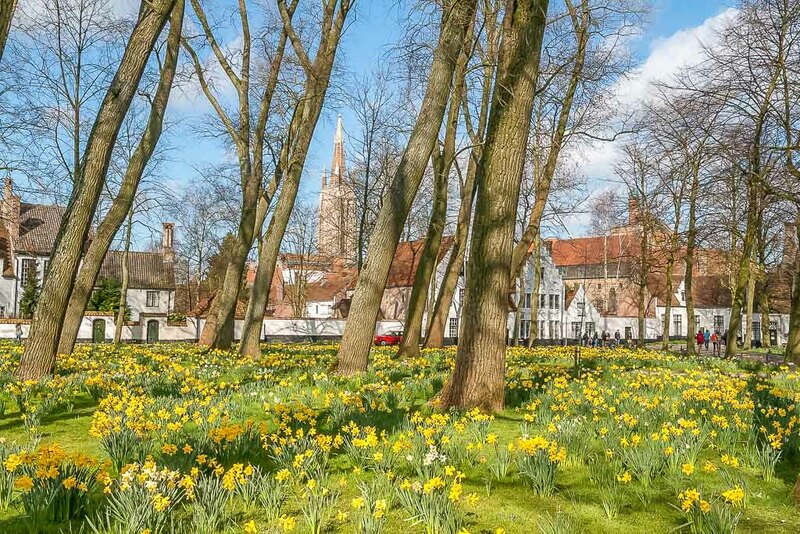 You enter the Beguinage over a small bridge and through a gatehouse dating from 1776. There has been a church on this site since 1245 although the first burned in 1584, and the Gothic replacement - built in 1605 - was given a Baroque facelift around 1700. It is dedicated to St. Elisabeth of Hungary, the patron of quite a number of beguinages and the rather obscure St. Alexis, reputedly the son of a wealthy Roman family who chose poverty and charitable work over riches: desirable virtues with Beguines. 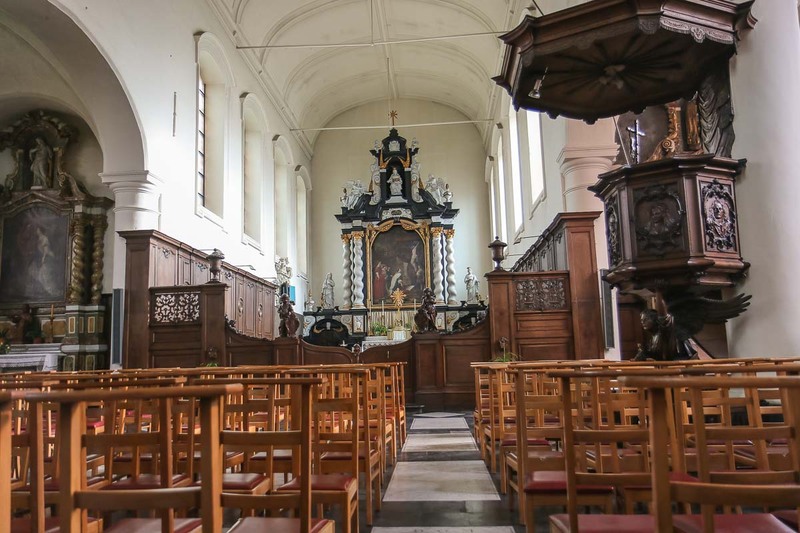 This is still an active church with daily services led by the Benedictine Sisters who occupy the former beguinage. As with the rest of their home, silence is very kindly requested. The altar to the right is dedicated to St Joseph. 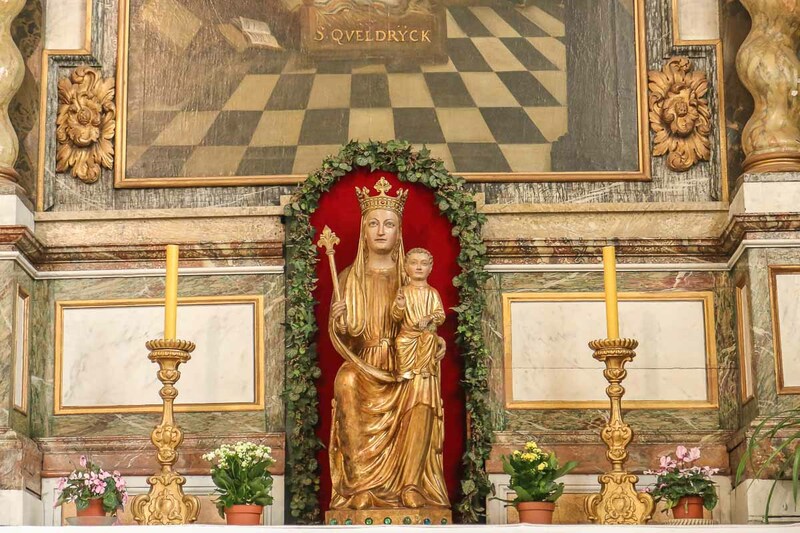 The gilded Madonna and child below is the chapel’s Medieval treasure: "Our Lady of Consolation” or “Our Lady of Spermalie ” dates to 1240. 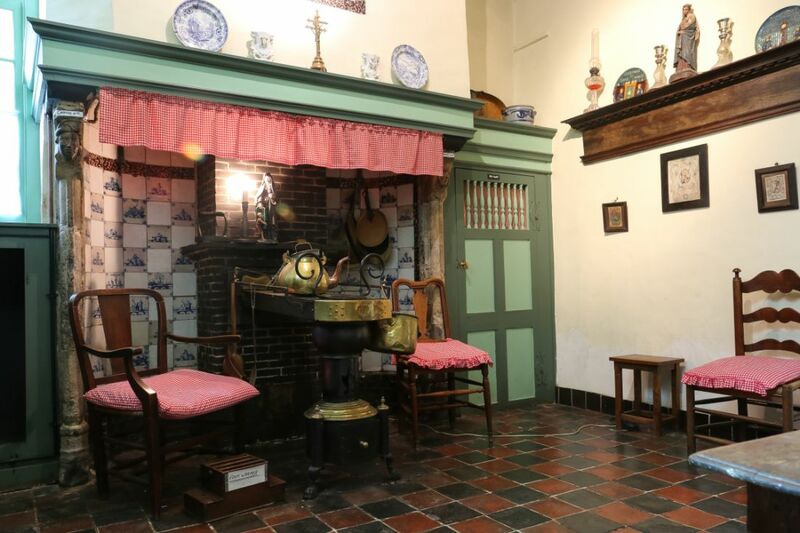 In the corner to the left of entrance of the beguinage is a small museum which recreates the living quarters of a beguine. There is an excellent gift shop here selling a wide range of Catholic related goods. 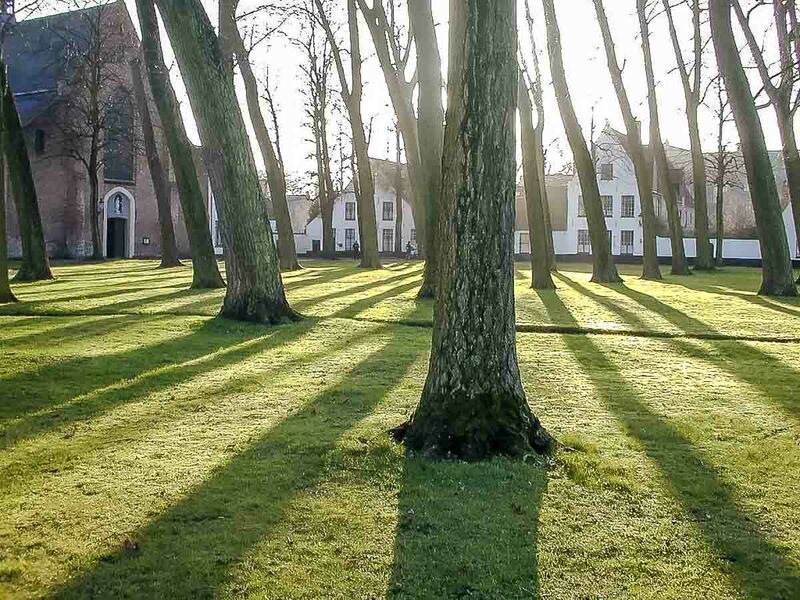 Finding the Beguinage was like finiding a little piece of solitude in busy touristy Brugge. Once inside, the busy streets and clatter of horses on the cobbled streets are left behind to be replaced by the peaceful view of an expansive lawn planted with poplars and surrounded by groups of houses. 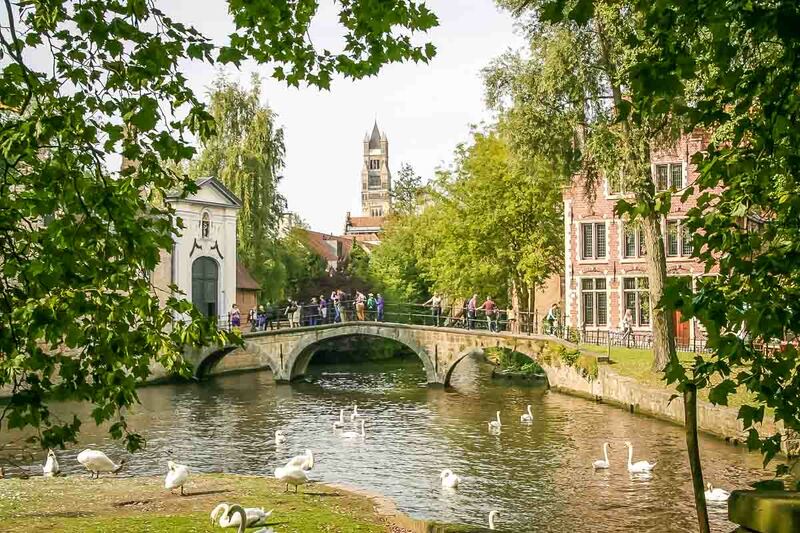 The beguinage is nicely located near the Lake of love.